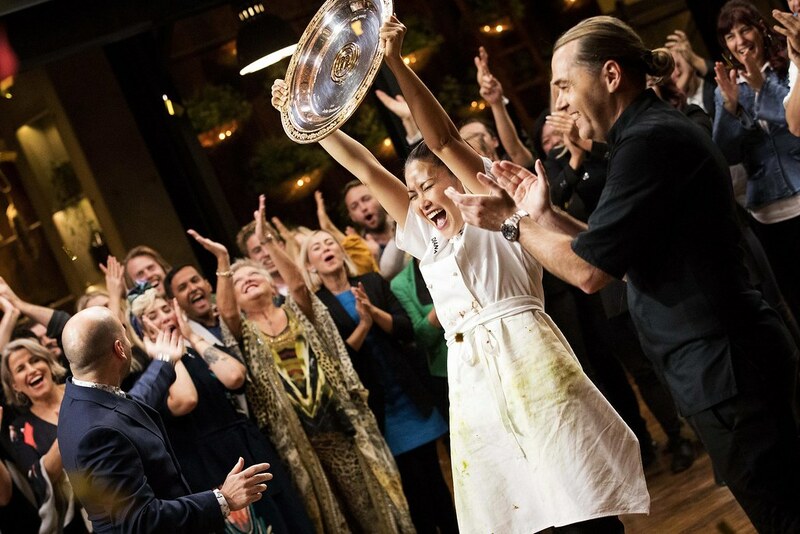 I'm a MasterChef Australia fan, including Junior MasterChef Australia, so you can imagine how thrilled I was that a Malaysian has won Season 9! Diana Chan, born in Sitiawan, Perak and raised in Johor Bahru, Malaysia, is now hailed as a national culinary hero and it's well deserved. Last month, she did Malaysia proud by winning the popular culinary competition reality TV series and bagging the grand prize of AUD250,000 (RM834,000) in cash. The 29 year old accountant overcame countless grueling challenges and won out over 23 other aspiring amateur cooks. Her epic three-month journey, broadcast on Lifetime, saw her garner a strong Malaysian fan-base, thanks to her cool, collected and versatile approach in the kitchen, and for spotlighting the varied and wonderful flavours of Malaysia. And now, for the first time since her nail-biting victory, Diana is set for a triumphant homecoming to Malaysia. To share the joy of her achievement, Diana is meeting her fans in Kuala Lumpur! You can catch Diana in person too at a special appearance that's open to the public. She'll share her amazing experiences from the competition and answer all fan questions, along with a special live cooking demonstration of one of her signature dishes. MasterChef Asia Malaysian finalists, Jasbir Kaur and Marcus Low will also be part of the celebrations, and will be cooking live at the event! Can't make it? Don't fret! The event will also be streamed on Facebook Live by @LifetimeAsia to enable as many fans as possible to join in the fun of Diana’s homecoming! You can also relive Diana’s triumphant journey with the best of MasterChef Australia Season 9 from 14 Oct – 4 Nov 2017, Saturdays, 12pm on Lifetime (Astro Ch 709). The smile of a culinary champion! You go Diana!